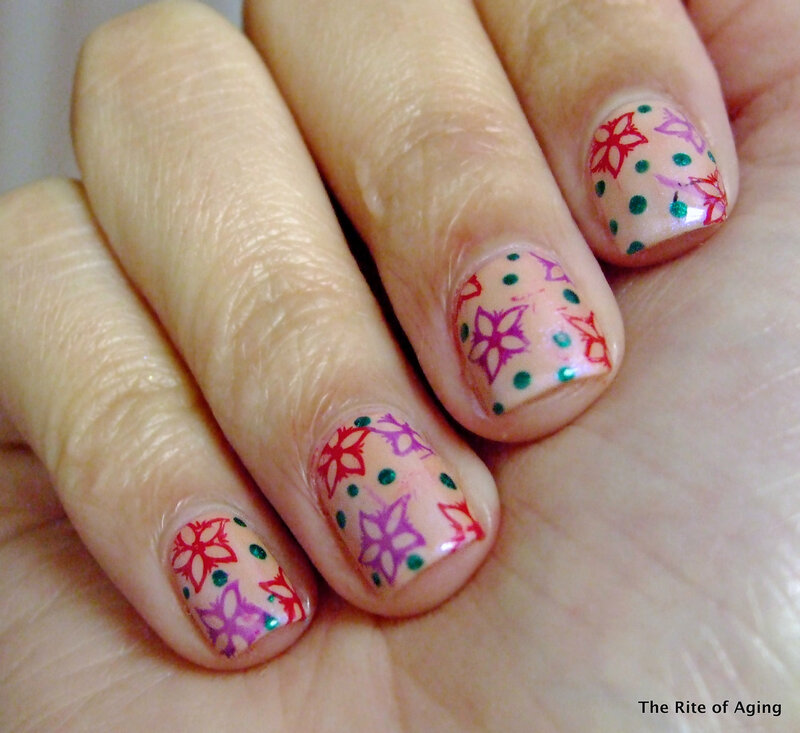 I wanted to do something similar to my molecular nail art from last week but this hand tremor keeps getting in the way. I still wanted to stamp so I went with a smaller scale image. Though, I still got a few smudges so my apologies!! This nail art reminds me of Christmas. The flowers look like poinsettias and the colors are very holiday-inspired! I definitely was not going for that but the colors worked nicely together. I used 1 coat of butter London Tea with the Queen and 1 coat of butter London Hen Party as my base. Am I loving this combination! Separately I cannot stand the colors against my skin tone but together it is the perfect neutral mannequin hands color! I stamped with Konad Special Polish Red and Violet Pearl? and MoYou London plate 09 (Suki Collection). I dotted with Zoya Giovanna.